Is it time to focus, to brainstorm? Than try to map your mind! This is the best method for note-taking. Mindmapping supports ideas via associations. 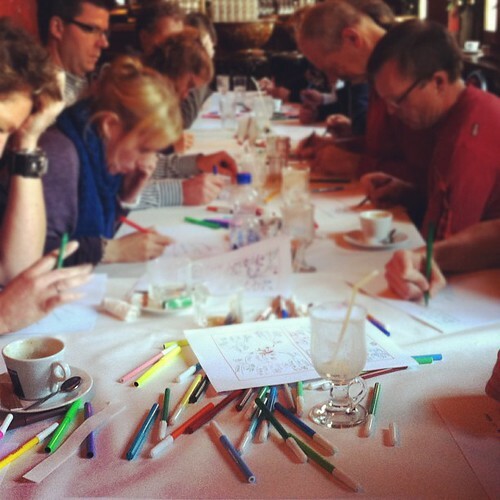 You use drawings, produced based on some guiding rules and to visualize ones associations. The lines should be connected, starting from the central image. The central lines are thicker, organic and thinner as they radiate out from the centre.